As any man with a beard, goatee or mustache will tell you, it is a transformative experience to shave it all off. Something tells me that Matisyahu felt a sense of freedom after he shaved off his iconic beard the other day. There has been a lot of discussion about Matisyahu's transformation after he came clean [shaven] and claimed he has evolved from a Hasidic reggae star. The opinions have ranged from those who interpreted this as Matisyahu's having left a religious lifestyle (going "off the derech") to those who can't figure out why this story even qualifies as "news." While I personally question if shaving off his iconic beard was a wise PR move, what I think is more interesting is how he has made his personal religious journey into a public narrative. His rise to super stardom occurred after he had already adopted a religious lifestyle and his break from Lubavitch a couple years ago wasn't very well publicized so this is really the first time his observance has been discussed on such a broad scale. And now that he's gone public with his shifts in observance, Matisyahu has (unintentionally?) brought the conversation of religious shifting and spiritual seeking into a very public sphere. I listened to Matisyahu's first interview since his transformative shaving experience and there was an interesting exchange toward the end. 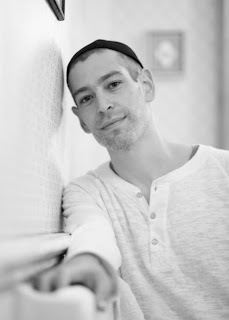 Soundcheck host John Schaefer began to ask Matisyahu a question that was sent in to the program by a listener having to do with him living some sort of a contradictory life. Matisyahu quickly cut Schaefer off and said something that I think is of utmost importance in any conversation about religious observance and spiritual seeking. I'd like to say one thing about contradictions -- I don't mean to cut you off -- but the whole thing is contradictions. And that's what I've realized, is that everything has multiple sides to it, you know? We're so quick to go, to make things black and white and to put things in their box. You know what I mean? But everything is this mixture, and that's what this world is, is this blend of different things. Exactly! I hope Matisyahu's quote goes viral because it is so true. Religion is not black and white although some may claim that it is. I recently had a conversation with a young venture capitalist in Detroit who is a ba'al teshuva, meaning he adopted an observant Jewish lifestyle. As he hammered away at the contradictions of non-Orthodox Jewish religious practice ("they keep strict kosher at home, but eat vegetarian in non-kosher-certified restaurants," "they don't drive on Shabbat except to go to the synagogue," etc. ), I tried unsuccessfully to explain to him that these contradictions exist across the board. Human beings are inconsistent and religion (including religious law) is fluid so that it breeds inconsistency (across denominations, between communities, and in individuals). Some observant Jews may find comfort in their own reality distortion field, but I am certain that contradictions exist in their own personal religious practice. As a colleague of mine often says, "Every Jew can find another Jew who isn't as frum (religious) as he is and look down on him." There really does not exist any baseline for religious observance because religion has many sides to it and is a mixture, as Matisyahu expressed. Perhaps the end of 2011 marks Matisyahu's most meaningful religious epiphany yet. Shaving off his beard helped him open his eyes to the sea of grey that is a religiously observant life and a spiritual existence. Beard or no beard, I'm sure that Matisyahu's music will continue to resonate with millions. I hope his insight will as well. Did he grow his beard and adapt a chassidic lifestyle as a wise "PR move"?! Let's assume that Matisyahu / Matthew is fully cognizant of his PR problem and simply doesn't give a sheet. He grew the beard and adapted the lifestyle for altruistic reasons. For whatever the reason, the altruistic underpinnings are no longer there and so he did away with the outer vestiges, come what may. IOW, he didn't want to parade around in a Purim outfit for PR reasons. Good for him!